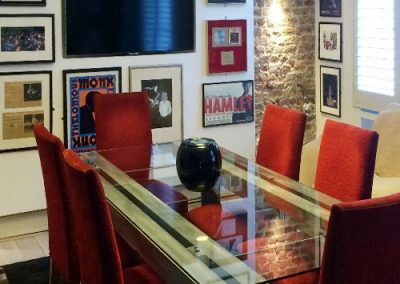 Theatre entrepreneur, Sally Greene engaged Design CLD to create a relaxed and welcoming head office suite in the heart of London’s Soho. 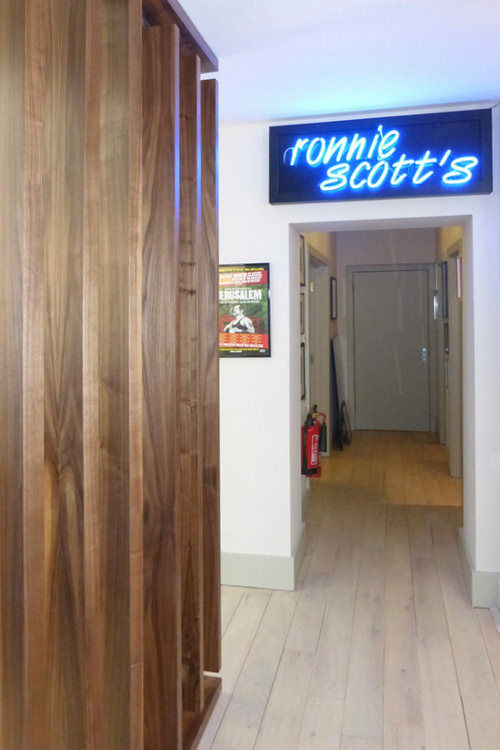 We worked closely with Sally and her team to bring her vision into the new workplace. 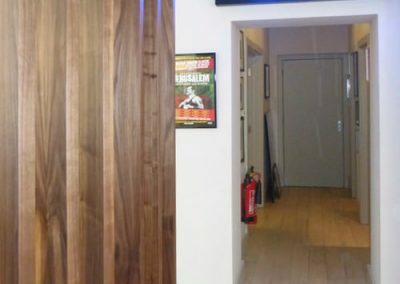 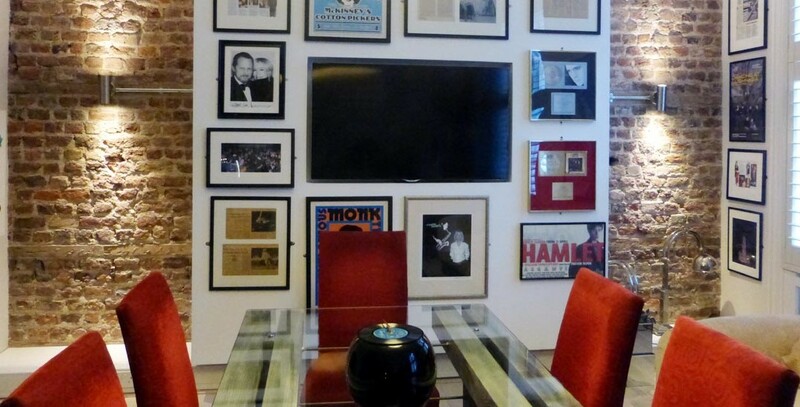 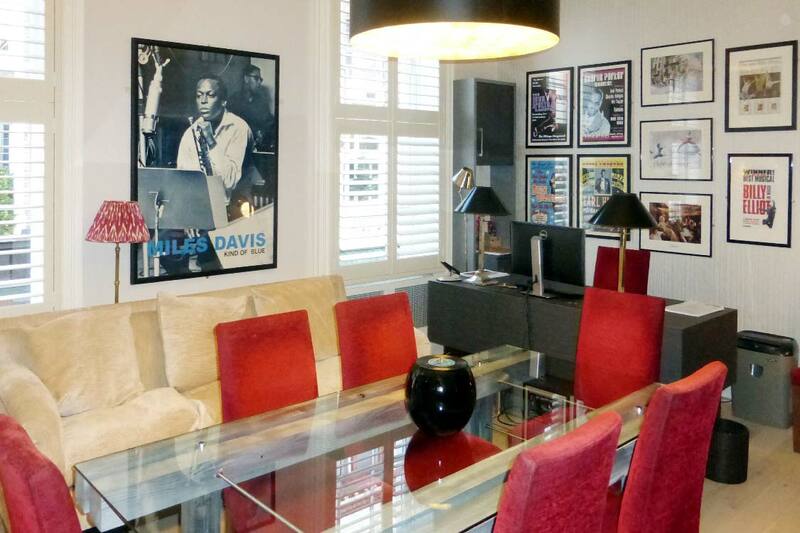 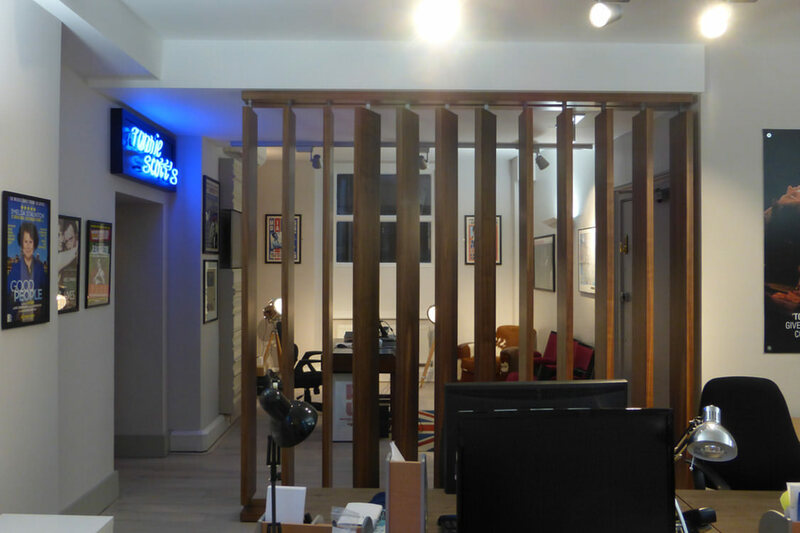 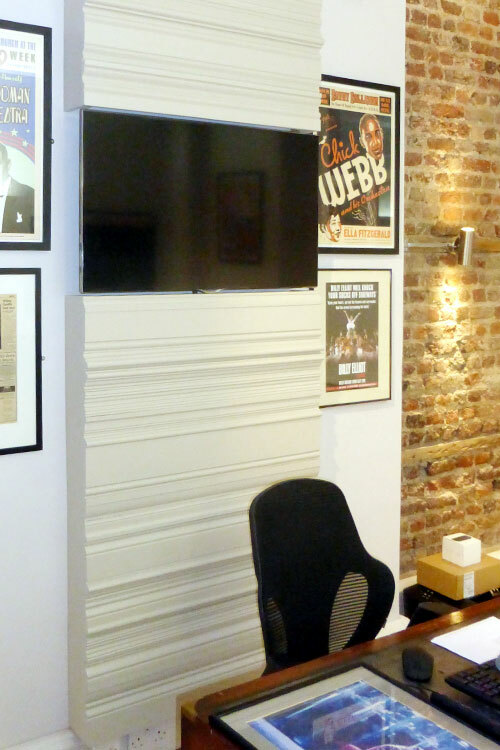 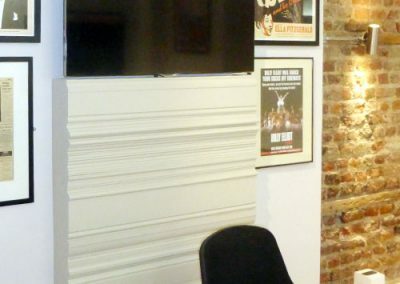 The offices are, in part, a cool retreat from the hectic streets outside, but also serve the demanding needs of her internationally recognised business, Old Vic Productions. 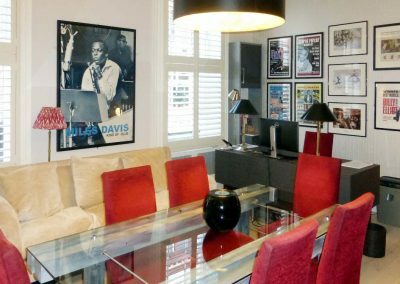 Sally’s business interests includes several West End theatres; a film and theatre production company and a brasserie as well as Ronnie Scott’s, the famous jazz club which shares the office building. 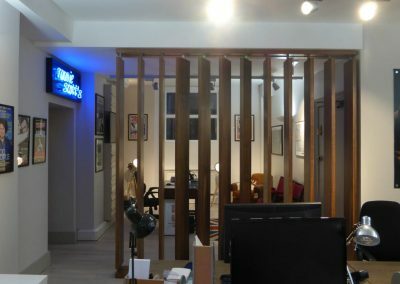 Our brief was to design an informal space in which Sally could do business with the visiting celebrities, actors, musicians, producers and investors. 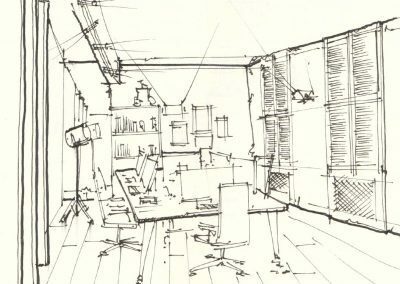 The completed office suite includes a reception, administration area, board room and private office, with supporting facilities. 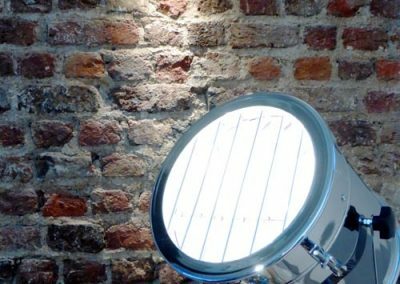 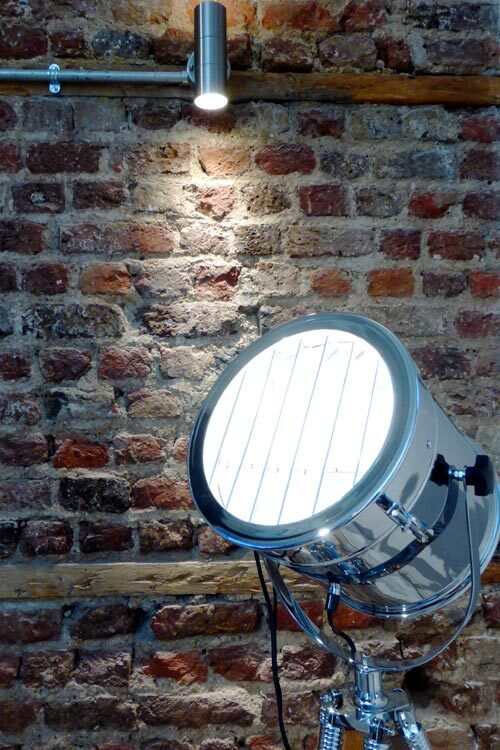 We specified a neutral colour palette, combined with exposed brickwork. 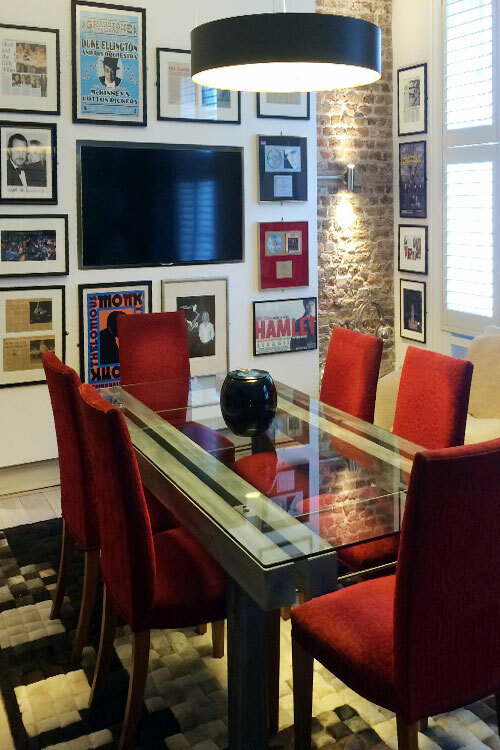 Natural materials serve as a backdrop to luxury finishes and eclectic furniture. 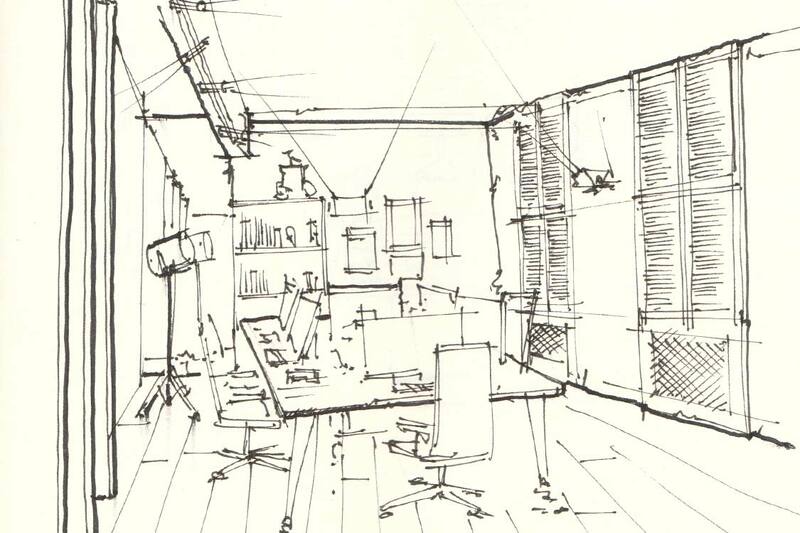 > Find out more about our expertise in workplace design.